The UCDS Fund is our annual giving campaign. The Fund is essential to our viability, helping to provide operating support, pay for programs like our laboratory classrooms, and—through our Forever Endowment—enables us to provide financial aid and keep the best teachers in our classrooms. Every gift makes a difference. Learn more. In conjunction with the John Neilson Fund, the UCDS Forever Endowment is a sustaining investment in the future of UCDS. The Forever Endowment ensures UCDS programs will remain accessible to teachers and students throughout the educational community. Support for the Forever Endowment enables UCDS to develop innovative educational programming for our teachers, as well as educators outside the school. The Forever Endowment allows our teachers to connect with researchers and thought leaders throughout the globe. Every connection we make grows and expands the vitality of UCDS for generations to come. Each year, approximately 4% of endowment investment income is released to support financial aid and teacher excellence. Of those funds released, 60% are allocated for accessibility and financial aid and 40% are directed to the UCDS Institute for professional development. Endowment funds enable UCDS Institute programs to be fully-funded without the use of tuition dollars. A: An endowment is a donation of money or property to a non-profit organization, which uses the resulting investment income for a specific purpose. Most endowments are designed to keep the principal amount intact while using the investment income for charitable efforts. Q: Why is it important to grow the endowment? A: The endowment provides a predictable, sustainable revenue source. Growing the endowment is important, as educational expenses continue to rise with each school year. While previous generations of families began the endowment, with your help we remain committed to its unending legacy. UCDS parent, John Neilson loved ideas; those he found in literature and those he gained through a deep appreciation of world culture, math, science, art, music, philosophy and physical excellence. In 1999, at the age of 38, John lost a hard fought battle against non-Hodgkin's lymphoma. In honor of John's life, a group of his family, friends and colleagues created the John Neilson Fund. The Neilson Fund supports the UCDS Institute (formerly known as the Teacher Education Center, or TEC). UCDS has had many amazing teachers, but the impact of Diane Chickadel and Lowell Hovis continue to resonate in classrooms. Diane Chickadel and Lowell Hovis understood the impact and importance of the arts in education. The Diane Chickadel FUNd for the Creative Arts and the Lowell Hovis Arts Fund honors these incredible teachers and their passion for the arts. Throughout Diane Chickadel’s 26-year tenure at UCDS, she encouraged students to tackle challenges, take creative risks and inspire others to rise. Above all, Diane’s lasting impact on the UCDS community is that learning is exciting and fun. 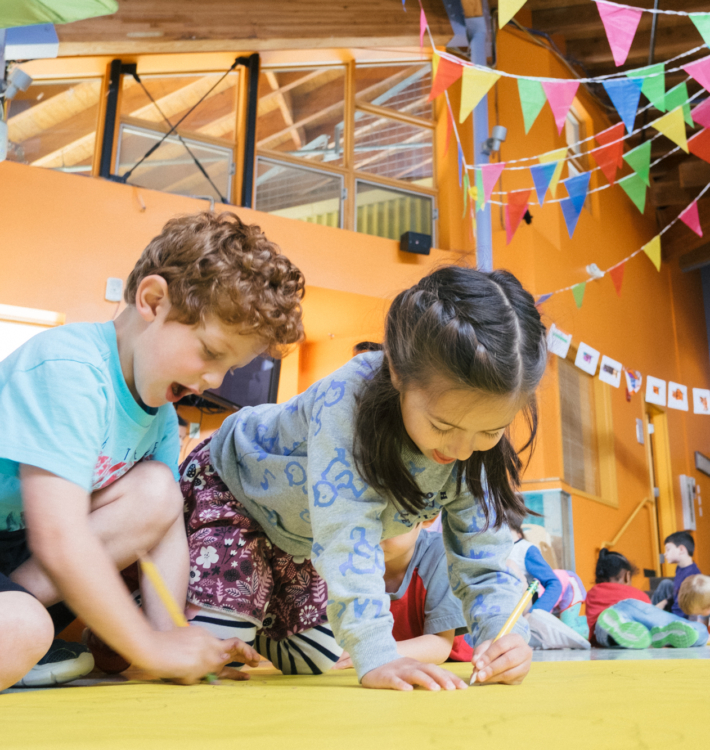 A gift to the Diane Chickadel Fund for the Creative Arts provides opportunities for all teachers to infuse their classrooms with the transformative power of the visual arts. Lowell Hovis had a lifelong love of both math and the arts. His first love, however, was teaching, which he did continuously for 50 years. Lowell enriched the UCDS community, sharing his childlike enthusiasm for daily discoveries and the wonder of the world's complexity and beauty. The Hovis Arts Fund honors Lowell's memory by providing Seattle area students with scholarships to attend the Creative Fusion Arts Workshop. Creative Fusion provides students with access to practicing professional artists through a weeklong studio experience. DONATE: Your support makes a difference.